The safety of Maryland’s Electoral Systems has been on the forefront of citizens’ minds in recent years, and Congressman Steny H. Hoyer is no different. Recently, the congressman joined a number of other leaders in urging Homeland Security Secretary Kirstjen Nielsen to listen to the state’s request for technical help in reviewing and protecting Maryland’s Electoral Systems. Also recently, Congressman Hoyer, in his role as House Democratic Whip, joined Congressman Jamie Raskin (Md.-8th) in introducing the Election Vendor Security Act, which addresses vulnerabilities in the US election systems that could be exploited by foreign actors. The letter to Secretary Nielsen was sent by Congressman Hoyer (Md.-5th); Sen. Ben Cardin, a senior member of the Senate Foreign Relations Committee; Sen. Chris Van Hollen; and Reps. Elijah E. Cummings, C.A. Dutch Ruppersberger, John P. Sarbanes, Andy Harris, John K. Delaney, Anthony G. Brown, and Jamie B. Raskin. Gov. Larry Hogan, Senate President Mike Miller and House Speaker Michael Busch worked together to make the initial request to the Department of Homeland Security after it was revealed that a Russian oligarch close to Vladimir Putin has an ownership interest in AltPoint Capital Partners, a majority owner of ByteGrid Holdings LLC. ByteGrid is the company that hosts the state’s voter registration, candidacy, and election management system; Maryland’s online voter registration system; online system of delivering ballots; and the website for unofficial election night results. Leaders in Maryland are looking for support in evaluating what, if any, systems might have been compromised, considering the Russian track record and continuing interest in interfering in US elections. The full letter to Secretary Nielsen can be found on Sen. Cardin’s website. The letter discusses the need for all levels of government to take precautions to preserve the security and integrity of this country’s Electoral Systems, ensuring that they remain fair bastions of our freedom. “American elections are a hallmark of our democratic system and a cornerstone of the rule of law,” the letter states. The lawmakers expressed their support of the state of Maryland’s request that the Department of Homeland Security’s Office of Cybersecurity and Communications provide Maryland with technical assistance to evaluate the network used by the Maryland State Board of Elections. Specifically, the letter states that DHS can help the state evaluate network security, audit network integrity, and provide more support and services as necessary and appropriate. The letter was copied to Deputy Attorney General Rod Rosenstein; FBI Director Christopher Wray; US Attorney for the District of Maryland Robert Hur; FBI Special Agent in Charge for Maryland Gordon Johnson; Maryland Gov. Larry Hogan; Maryland Senate President Mike Miller; Maryland House Speaker Michael Busch; Maryland Attorney General Brian Frosh; and Maryland Board of Elections Administrator Linda Lamone. 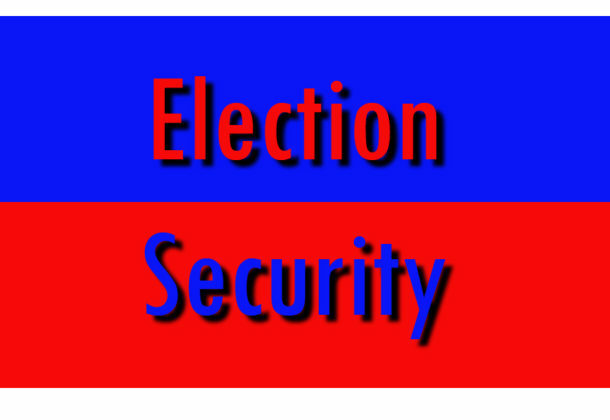 The related introduction of the Election Vendor Security Act addresses the potential vulnerabilities in the state’s election systems. Congressmen Hoyer and Raskin introduced the bill with co-sponsors including ranking member of the Committee on House Administration Robert Brady (Pa.-1st); Member of the Committee on House Administration Zoe Lofgren (Calif.-19th); Chair of the Democracy Reform Task Force John Sarbanes (Md.-3rd); and Representatives Elijah Cummings (Md.-7th), John Delaney (Md.-6th), C.A. Dutch Ruppersberger (Md.-2nd), Anthony Brown (Md.-4th), and Grace Meng (NY-6th). The legislation was introduced after the FFBI told Maryland officials that a Russian oligarch had invested in one of the state’s voting software vendors in 2015 without the state’s knowledge. While no evidence of specific wrongdoing has been found in Maryland’s elections, the report has brought up serious concerns. The new bill will require election vendors to be owned by a citizen or permanent resident of the US and disclose whether vendors are using foreign-made parts in any products and software. It also would require vendors to follow cybersecurity best practices, developed by the Election Assistance Commission and Department of Homeland Security, and will require them to report known or suspected threats to state authorities within 10 days. Follow Congressman Hoyer on Facebook and Twitter. For more information about House Democratic Whip Steny H. Hoyer, visit his Leader Page.